In back to back meetings this week, the new governing board at the South Florida Water Management board considered controversy over water levels at Lake Okeechobee and ending a lease for sugar farming. On Wednesday, they got a crash course on the complex history of Florida's environment from three former scientists for the water management district who now work for competing interests for water in South Florida: the agricultural industry, a water utility and the environment. They also took up a controversial lease that angered Gov. Ron DeSantis and prompted him to call for the resignations of the former board at their regular monthly meeting Thursday. The lease that covers just over 16,000 acres targeted for a new Everglades reservoir is now being reviewed by new general counsel Paula Cobb, former deputy director for the Florida Department of Environmental Protection. The reservoir is expected to help cut polluted discharges from Lake Okeechobee that have triggered regular algae blooms during the rainy season, leaving rivers and estuaries choked with toxic blooms. At 23 feet deep, the reservoir is also expected to provide freshwater to marshes and Florida Bay damaged by decades of flood control. Terms hammered out under the previous board allow the lease to be terminated once the district signs a construction contract for the reservoir. It can also be terminated if sugar farming interferes with reservoir work. The deal infuriated the powerful Everglades Foundation, which worried the deal that extends the lease to 2027 would hold up work on the reservoir, now estimated to cost $3 billion. Florida Crystals, which has been leasing the land, tried to reassure board members in a letter this week, vowing to hand over any land needed as work progresses. "If construction of the reservoir is accelerated, we will transition land covered by this lease as needed by the [water management district] for construction of the EAA reservoir project," brothers Alfonso and Pepe Fanjul wrote the board and DeSantis. New board members also took up contentious plans to lower Lake Okeechobee to avoid the polluted releases. Farmers and utilities have complained that flushing the lake below 12.5 feet this spring could trigger a drought and water restrictions. 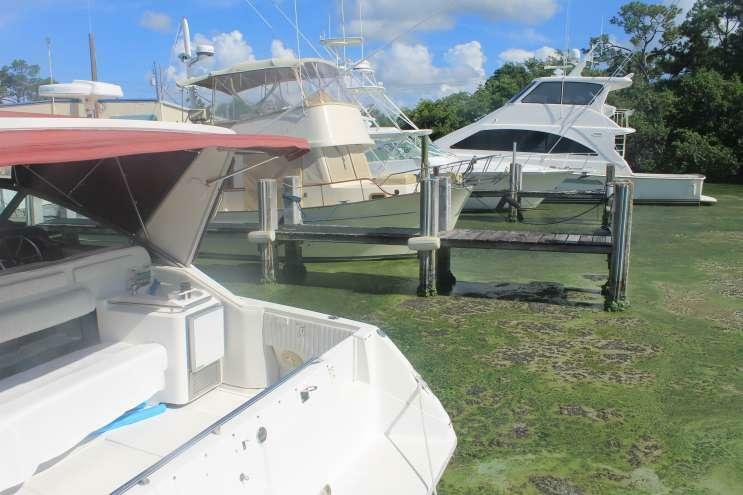 But the U.S. Army Corps of Engineers, which manages the lake, agreed to a request from DeSantis to begin lowering it to try to avoid another toxic summer. Lt. Col. Jennifer Reynolds said the Corps considered forecasts for a wet El Nino year when it decided to flush water despite worries over water supply. But under questioning from board member Scott Wagner at the Wednesday workshop, Lake Worth Drainage District Director Tommy Strowd agreed that the drawdown of the lake so far this year has been reasonable. "What makes me able to sleep at night is the El Nino rains have occurred," he said. The next day, however, he sent the board a follow-up letter. "I consistently stated that this year’s aggressive lowering of Lake Okeechobee is a gamble which could have very serious consequences," he wrote. While the state has so far dodged the bullet on drought concerns, he said, "any continual lowering of Lake Okeechobee is a serious proposition, which could have severe ramifications for water supply users throughout South Florida."